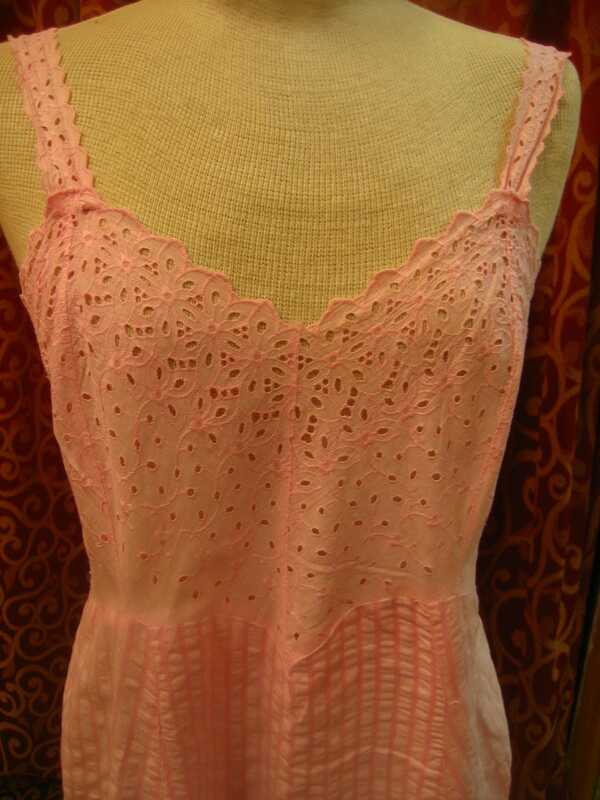 1950's, 40 bust, stripped pink cotton seersucker and eyelet slip. 1950's, 40" bust, stripped pink cotton seersucker and eyelet slip. 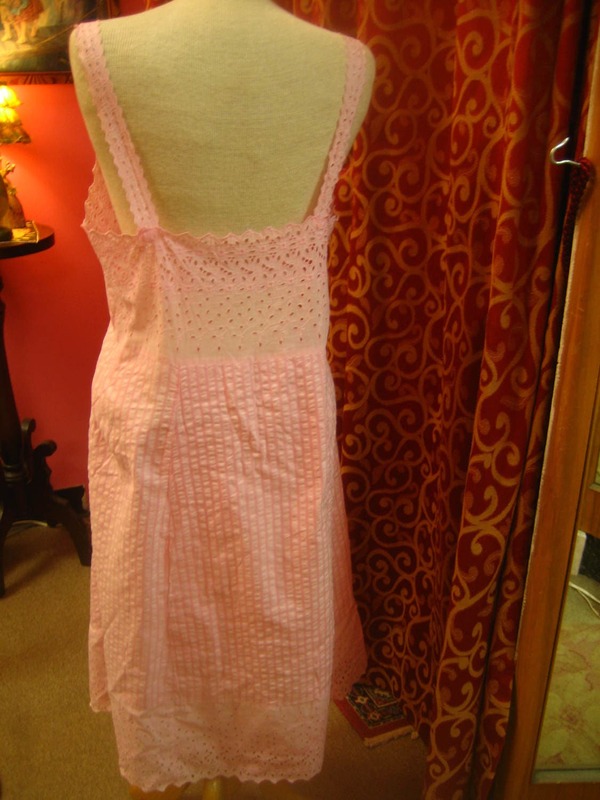 1950's, 40" bust, stripped pink cotton seersucker and eyelet slip. Bodice is made entirely of eyelet as is hem. Neckline is a wide V with narrow eyelet shoulder straps. Body of slip is seersucker and loosely shaped.